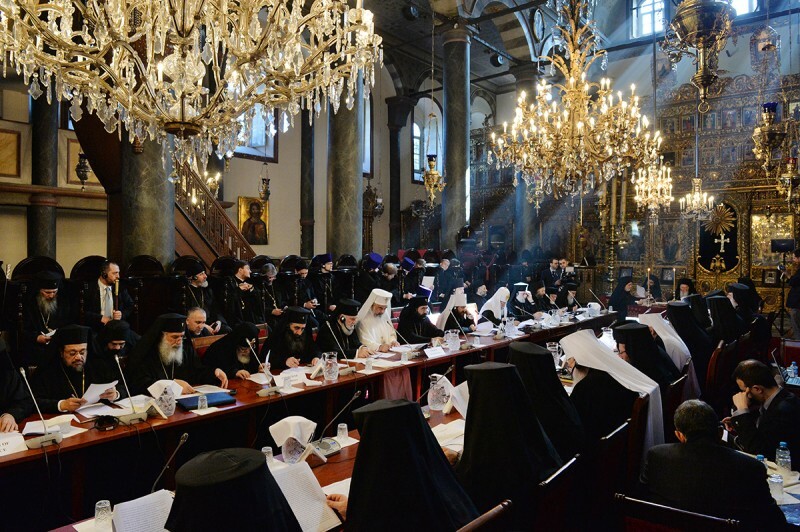 On March 6, 2014, Primates and representatives of Local Orthodox Churches met for their first day at the Cathedral of St. George at Fanar, the residence of the Patriarch of Constantinople in Istanbul. 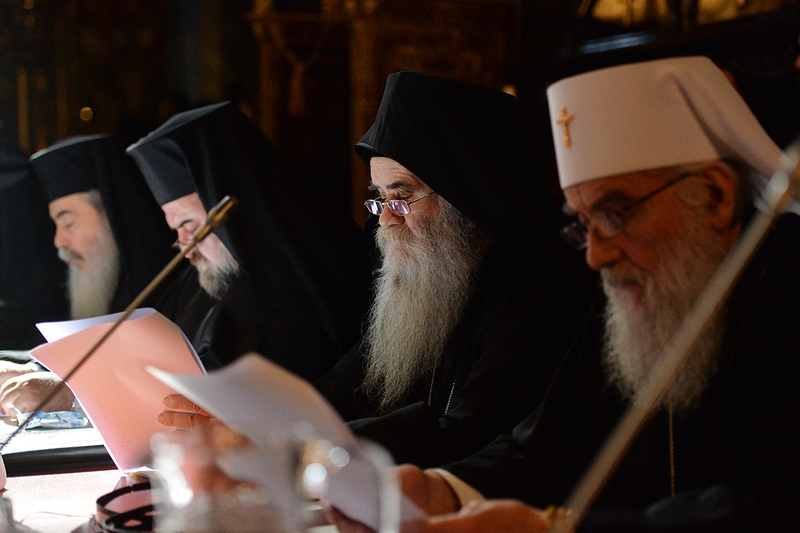 His Holiness Patriarch Bartholomew of Constantinople led the participants in prayer before the meeting. Then he opened the meeting outlining the main topics for discussion, including persecution of Christians in various parts of the world, especially in the Middle East, the ousting of the Church to the periphery of public life in countries which once were Christian, consequences of the globalization and technological progress, the economic crisis, consolidation of internal unity of Orthodoxy as well as preparations and conduct of a Pan-Orthodox Council. Patriarch Bartholomew described any notion allowing of “the universal dominion of any Local Church or her Primate as alien to Orthodox ecclesiology”. He stressed that “we all are entrusted with responsibility for the unity of our Holy Church”. Then each Primate of a Local Church made his remarks, which were followed by a lively discussion. 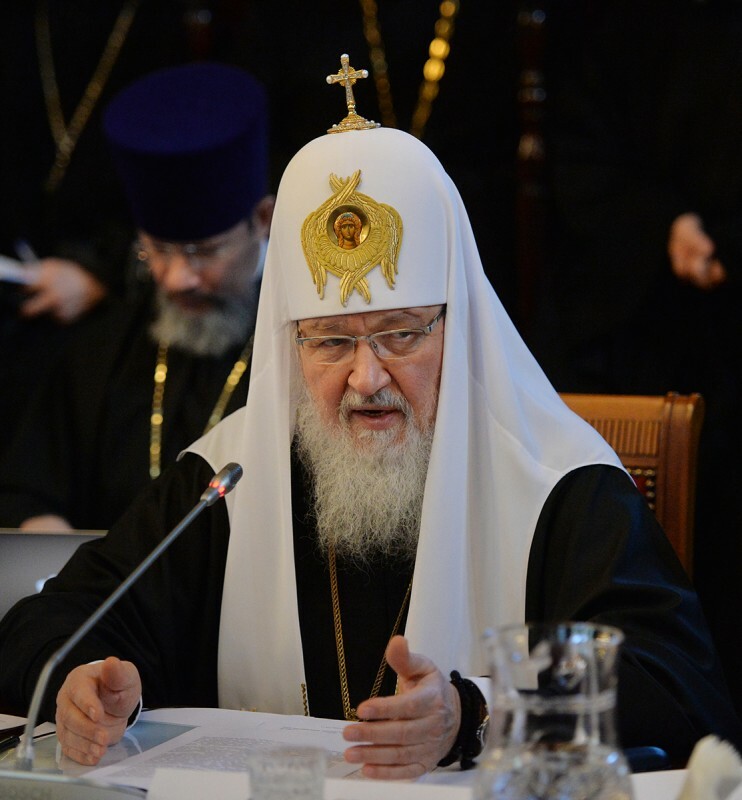 His Holiness Patriarch Kirill of Moscow and All Russia, in his remarks, presented in particular the vision of the Russian Orthodox Church concerning the preparation of a Pan-Orthodox Council expressed by the Bishops’ Council in February 2013 in Moscow. 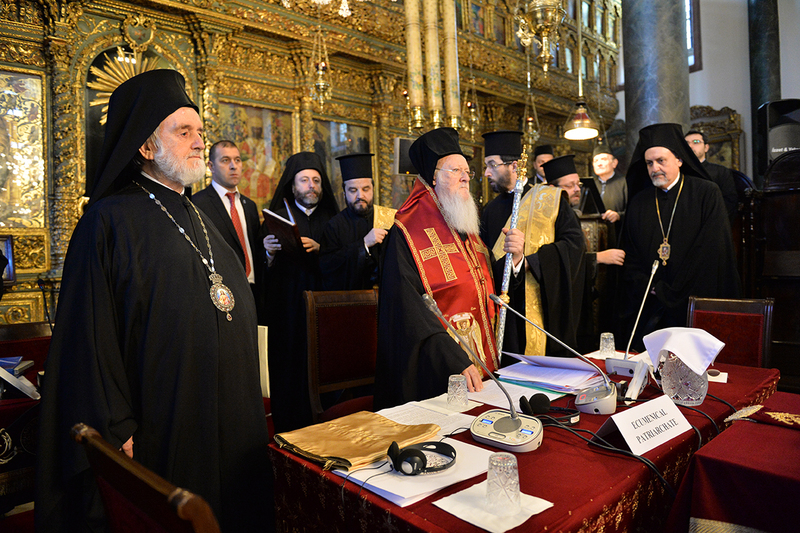 Its participants expressed a common conviction that all the decisions of the Pan-Orthodox Council should be made by consensus of all Local Churches, not by a majority of votes, that the Council’s procedure and agenda, the principles of its formation, the protocol of its divine services and sessions and its draft documents should be preliminarily negotiated with all the Local Orthodox Churches. “The hierarchs of the Russian Church believe that the preparation of a Pan-Orthodox Council should provide for a broad discussion of resolutions in preparation and should be distinguished by special concern for the preservation of the purity of Orthodox doctrine. The members of the Bishops’ Council believe it necessary to ensure that the presidium of the Pan-Orthodox Council should include the Primates of all the Local Orthodox Churches and that the episcopate of the Local Churches should be represented at the Council as fully as possible”, the resolutions of the Bishops’ Council of the Russian Orthodox Church state. 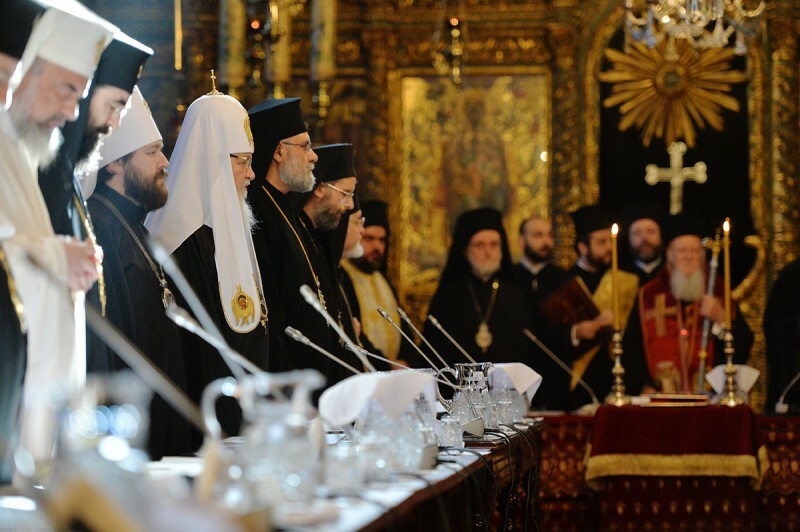 Explaining the essence of this position, Patriarch Kirill reminded the meeting that it is the principle of consensus that has successfully guided the pre-Council process so far, which began with the conference in 1961 in Rhodes and which laid this principle in the basis of decision-making on the initiative of the Patriarch of Constantinople. 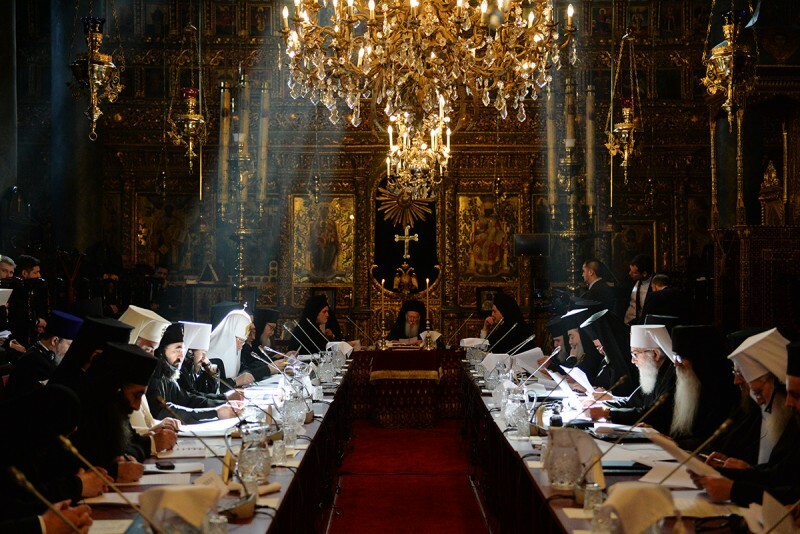 It is on this basis that the list of the Pan-Orthodox Council agenda items was agreed together with the procedure of Pan-Orthodox Pre-Council Conferences and draft decisions on eight out of the ten themes to be considered by the Council. 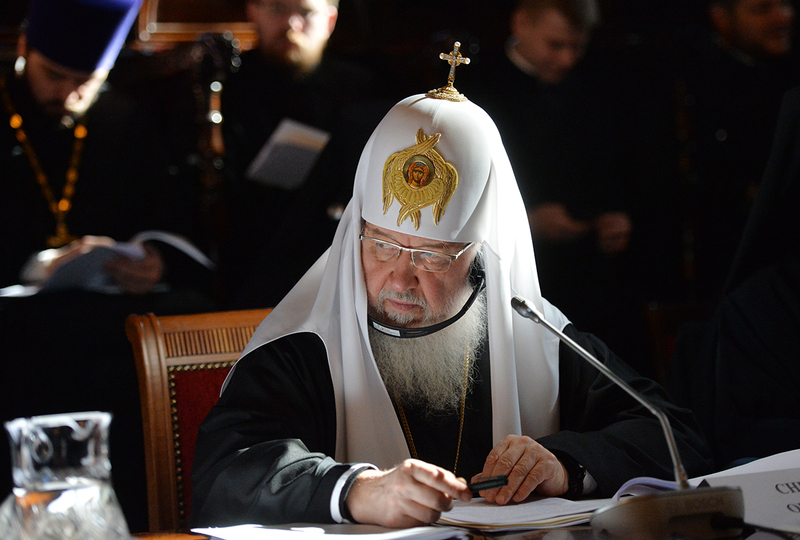 “The principle of consensus has proved to be the best and it would be counterproductive and extremely dangerous to reject it in preparing the Council”, the Primate of the Russian Orthodox Church said. 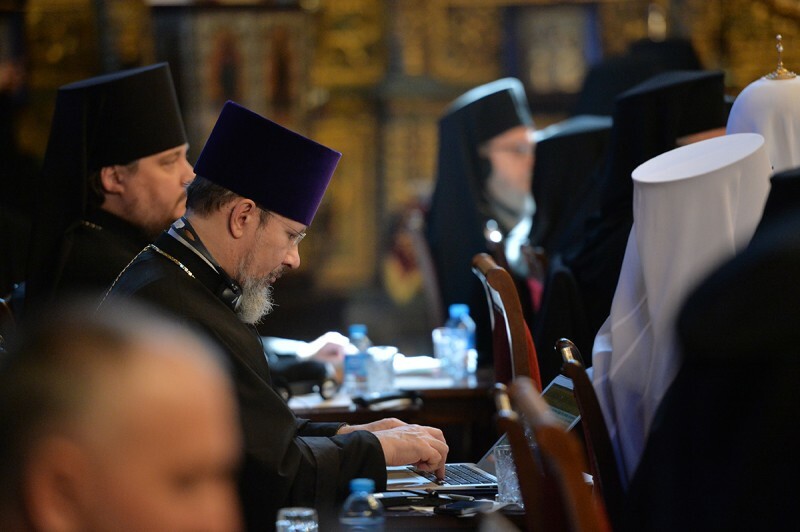 Noting that consensus also lies in the basis of the work of Bishops’ Assemblies in the diaspora regions, Patriarch Kirill said, ‘It is the principle thanks to which the unity of the Church is preserved in the present historical situation”. “For the Council to take up not concerted questions means to turn it into a place of divisions, to put the church unity under threat and to complicate the reception of the Council’s resolutions in our Local Churches. But our task is to manifest the unity of the Church on issues disturbing the Orthodox world. 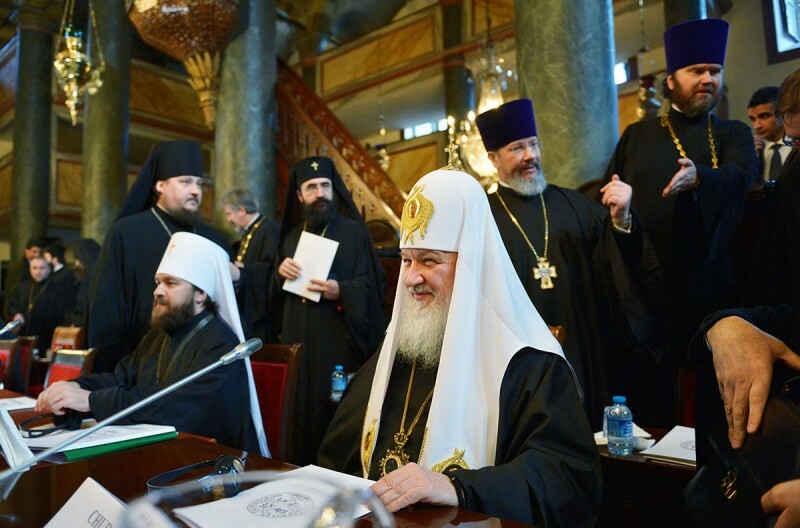 The Pan-Orthodox Council should become a place where the Holy Spirit reveals His presence in church unanimity, where the tyrannical subjection of a minority to the will of a majority is impossible”, Patriarch Kirill continued. He did not agree with the allegation that the principle of consensus slows down the decision-making process and the preparation of the Council, saying, “I believe the cause of the delay does not lie in that at all, but rather, unfortunately, in that we are lacking an effective preparation mechanism. The Secretariat for the Preparation of the Council set up many years ago, in which representatives of Local Orthodox Churches were supposed to take part, does not function. Repeated proposals of the Russian Church to send her representative to the Secretariat have received no due response”. The preparation of the Council should be carried out actively, and to do it it is necessary to involve creative forces, Patriarch Kirill said. He called for setting up an effective body made up of representatives of Local Churches, which could meet on a regular basis, exchange opinions, materials and use modern means of communications which facilitate the process. 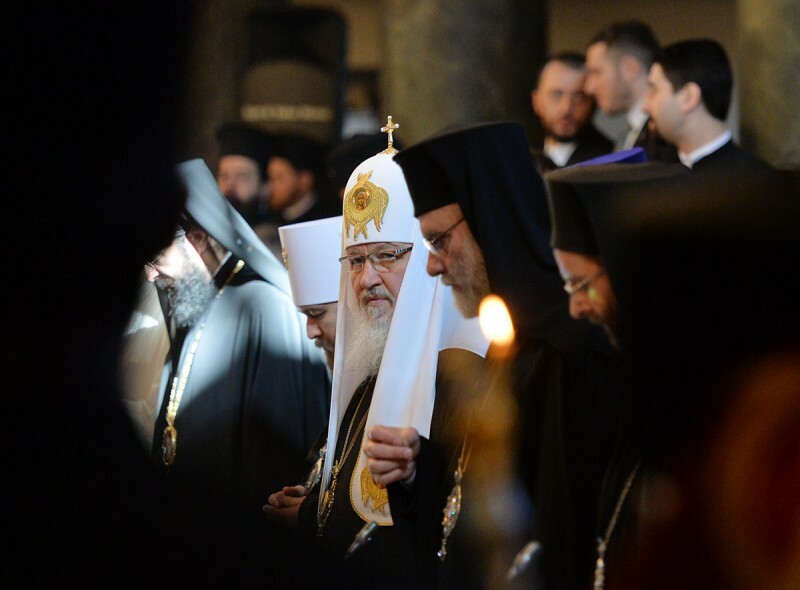 “If we really wish to convene a Pan-Orthodox Council we should learn to work in this mode” he said, mentioning that there is a great amount of work to be still carried out both on the themes of the Council and its procedure. Indeed, as His Holiness Patriarch Bartholomew said in this introduction, even the eight themes that have already been elaborated and agreed upon, require a certain revision considering the realities which have changed in the last decades. “All the Council’s agenda items should be well prepared together and agreed upon. If we fail to coordinate some question immediately, we should not be afraid of putting it off till the next Councils. If we fail to prepare this Council in an appropriate way, I believe, it will not be the last one”, was the opinion of Patriarch Kirill. He also drew the attention of the meeting to the challenges of today, which the Council cannot pass by. “These are the mass expulsion of Christians from the Middle East and North Africa regions threatening to abolish the Christian presence in the age-old lands in which Christianity was originally propagated, the spiritual perniciousness of the cult of consumerism lying in the foundation of the economic crisis, which has affected many countries of the Christian world, now unfortunately already pseudo-Christian; the attempts to introduce the so-called gender philosophy destroying the foundations of morality and families – the attempts which have affected Western countries and now approaching the Orthodox East; these are also problems of bioethics, such as cloning, surrogate motherhood and all that seeks to intervene into the very God-created human nature”. 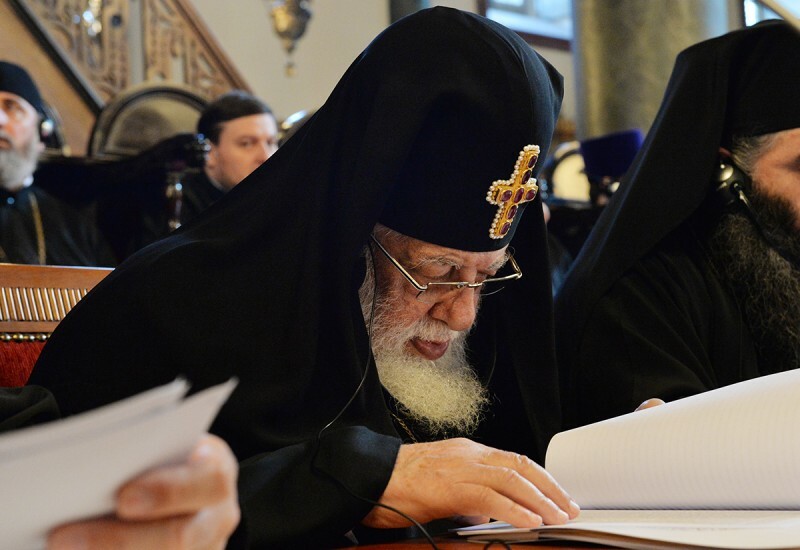 His Holiness expressed the conviction that all the important and topical issues should be given a clear and ageed answers rooted in the Tradition of the Orthodox Church. “At the same time, it should be not only a theological but also pastoral answer. Today our Church is asked questions about the baptism of children born through “surrogate motherhood”. We could not wait for a common Orthodox answer to this question because the discussion is very hot in Russia. A special commission has been set up to prepare pastoral recommendations with regard to the baptism of children born by “surrogate mothers”. 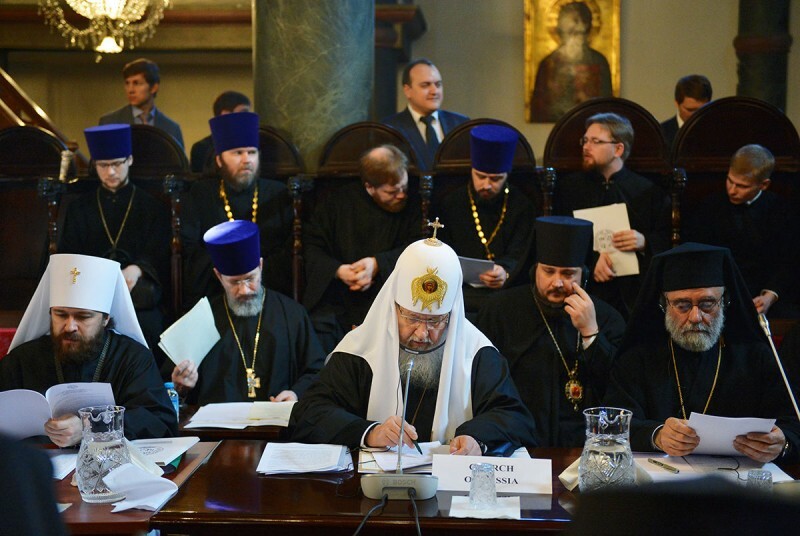 Another issue raised by Patriarch Kirill at the synaxis concerned the procedure of the future Pan-Orthodox Council. He reminded the meeting that the draft procedure of the Council has not been brought yet for common discussion. “But the question of the Council’s procedure is not at all formal. 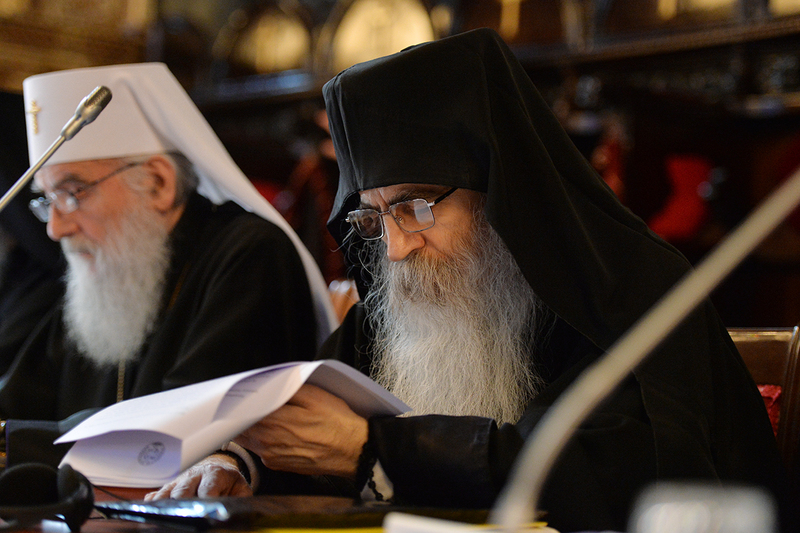 The Council should become a clear expression of our Orthodox ecclesiology just as the Divine Liturgy and concelebration in it is an expression of our ecclesiology”, he said. 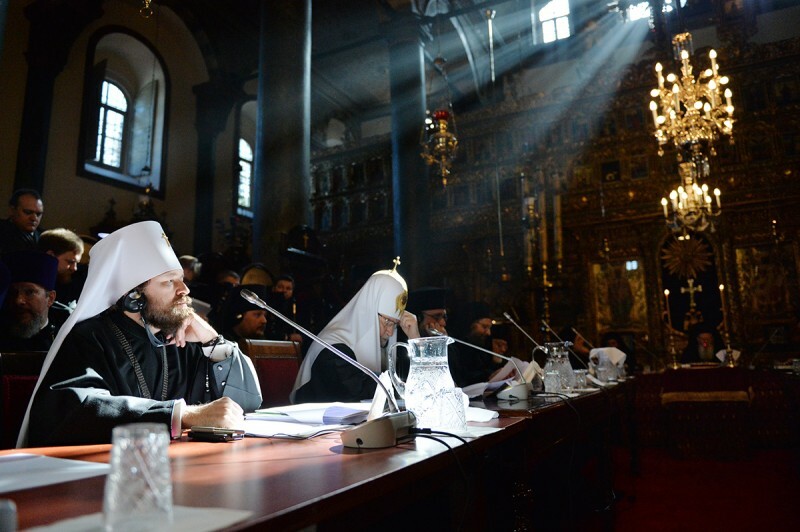 The Russian Orthodox Church also stresses the need for the Presidium of the Pan-Orthodox Council to be made up of Primates of all the Local Orthodox Churches led by the first among them – His Holiness the Patriarch of Constantinople, Patriarch Kirill noted. 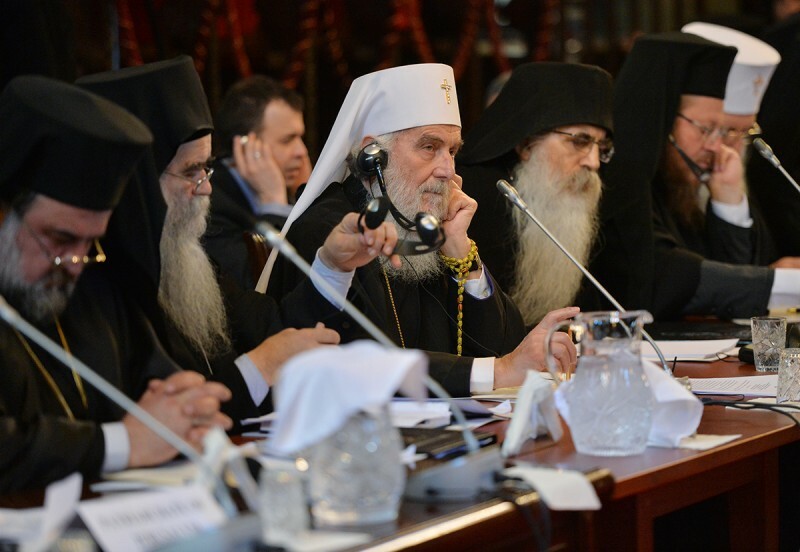 “The Presidium made up of Primates of All the Churches regardless of their size and age will vividly demonstrate our ecclesiology whereby any Local Church maintaining unity with other Churches has rights equal to theirs”, His Holiness Kirill said. He also expressed regret that not all the Primates of Churches were invited to the synaxis. 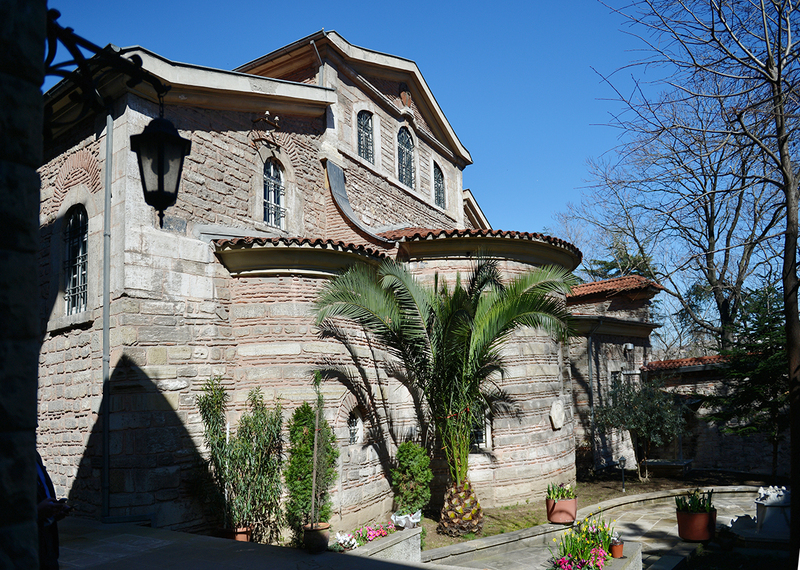 “We should seek to ensure that all the Local Churches should take part in the preparation of a Pan-Orthodox Churches, and then our Council will become an expression of the prophetic voice of the Church addressed to both our own ones and external ones. Our own ones should feel the unity of the Church. The external ones should see in the Council the vitality and dynamism of Orthodoxy given by God Himself. We should create all the conditions so that we may not prevent the Holy Spirit from working in us and through us”. 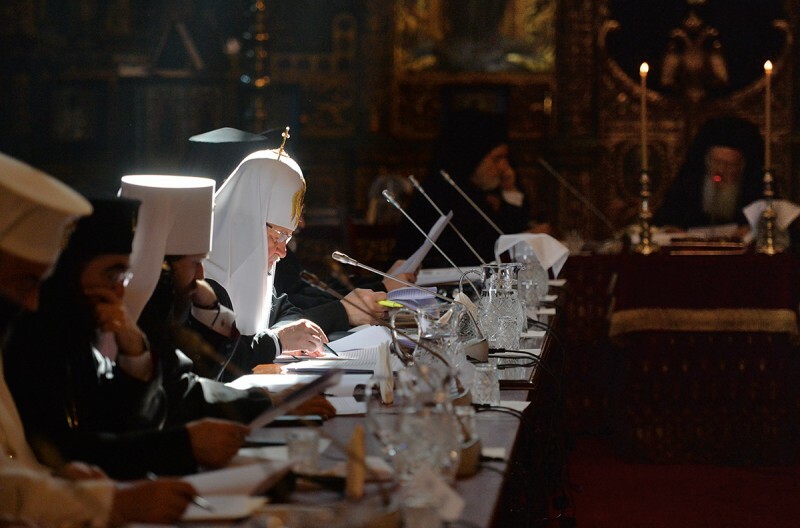 Patriarch Kirill proposed to set up a renewed Secretariat consisting of representatives of Local Orthodox Church to finalize draft documents for the Pan-Orthodox Council and to elaborate all the procedural questions so that the results of their work could be submitted to the Inter-Orthodox Preparatory Commission. And if this Commission finds a consensus, the documents will be sent to the Pan-Orthodox Pre-Council Conference, which, after their adoption, will make a proposal for the date of the Council. The Primate of the Georgian Orthodox Church, in his remarks, made a special mention of the fact that Ecumenical Council used to be held to defend Orthodoxy against heresies and to strengthen the true doctrine, while the aim of the expected Pan-Orthodox Council is different. It is to demonstrate to the modern world the unity and unanimity of Orthodox nations. “For this reason, we believe it necessary to convene this Council only after all the questions on the agenda are considered and settled on the basis of consensus in which the interests of all the Churches are taken into account. It will be a guarantee against tension among churches. Besides, it is necessary to consider once again the questions we have already worked on so that our position may be consolidated in view of the present situation”, said His Beatitude Catholicos-Patriarch Iliya II of All Georgia. His Beatitude Daniel, Patriarch of Romania, in his turn, remarked that the meeting of Primates “is not a Pan-Orthodox Council, but a pan-Orthodox representation of autocephalous Synods presided over by Primates who participate in the Synaxis… The spiritual authority of the Synaxis increases only when the common responsibility is encouraged for the sake of the unity of Orthodoxy”. In his opinion, today sister Orthodox Churches are to confer and cooperate more because of the three great challenges posed by the modern world – secularization, religious indifference and migration as a phenomenon that creates new social and pastoral problems, especially when it is provoked by war or persecutions, as can be seen in Syria and elsewhere. It is also the economic crisis which calls Christians to greater solidarity towards the poor, sick and lonely. It was agreed to set up a drafting commission to prepare final documents of the meeting. The commission is to be chaired by Archbishop Anastasius of Tirana and All Albania and consist of bishops from various Local Orthodox Churches including Metropolitan Hilarion of Volokolamsk, chairman of the Moscow Patriarchate’s department for external church relations.